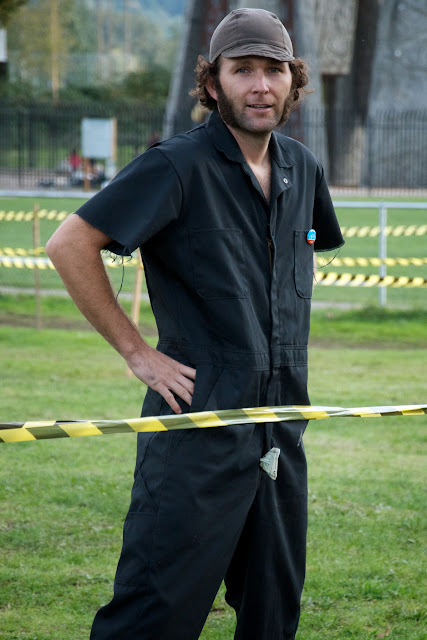 In any other setting and especially at a city park, this man in a jumpsuit with a fiver dangling from the fly would get arrested and put on a watch list. 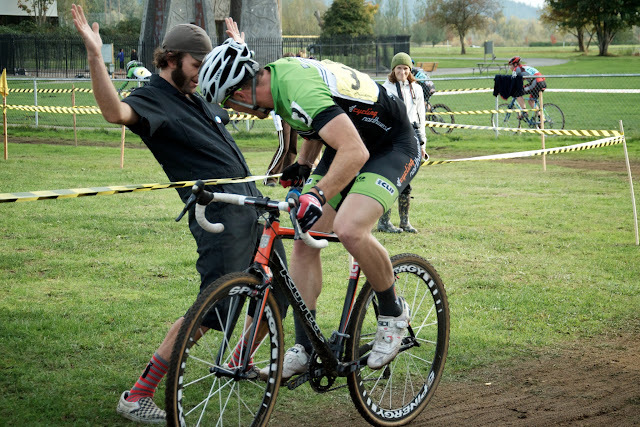 At MFG Cyclocross races, it’s the Tainted Cash #Hodala hand up. Tainted Cash is one of many hand up flavors. See more at The Hand UP and photos from the 06 Lion of Fairfax CX Race. But wait there’s more Tainted Cash #Hodala hand ups on G+ in glorious full rez.